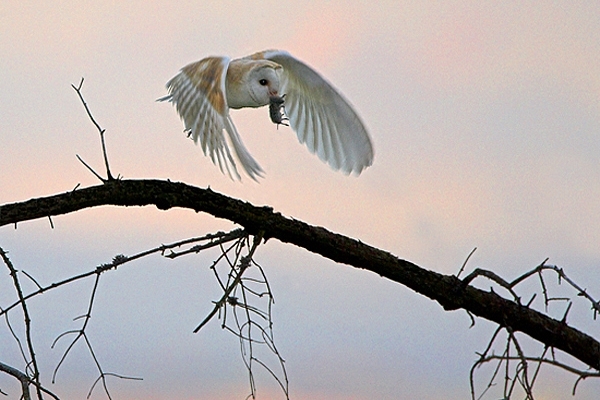 Home | Owls | Barn Owl in flight,with vole. Barn Owl in flight,with vole. Photographed on farmland near Duns,in the Scottish Borders.